Behold, the Live Jellyfish Cam! How would you like a live HD view of drifting jellyfish? Thanks to the Monterey Bay Aquarium, you're in luck. 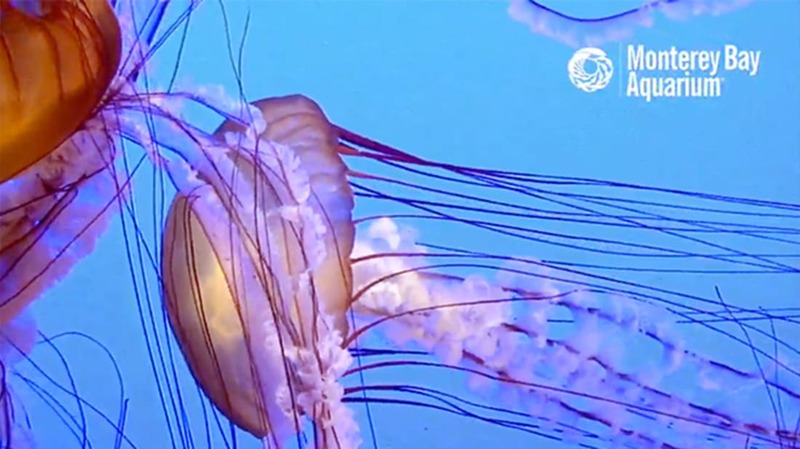 Tuning into the "Jelly Cam" lets you watch Chrysaora fuscescens, the stinging sea nettle, drifting against a beautiful blue background. It's part of the Open Sea exhibit, and it's stunning. Watch as their long tentacles and lacey mouth-arms move smoothly through the water. But don't let these unassuming invertebrates fool you—their graceful trailing parts are covered in stinging cells used for hunting. When their tentacles touch tiny drifting prey, the stinging cells paralyze it and stick tight. The prey is moved to the mouth-arms and then to the mouth, where it's digested. For more on the animals you're seeing, read this page.